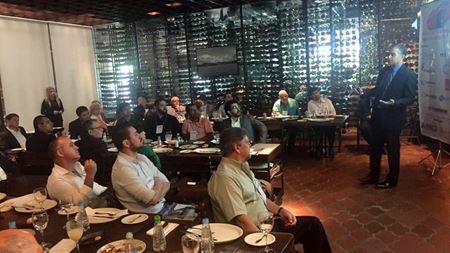 ALMACO has welcomed around 50 representatives of the automotive industry in Brazil to discuss new composites technologies. Germany-based Bond-Laminates GmbH, which makes customized fiber composites, reports that it was founded 20 years ago. Nonwovens organization EDANA has named the 15 students and researchers selected for the 2017 EDANA Nonwovens R&D Student Grant. Kaman Corp reports that Richard R Barnhart, has been selected to lead the company’s aerospace segment, succeeding Gregory L Steiner. UK 3D printing Expert Dr Mark Beard has joined Additive Industries team as process and application development manager. Jewelry companies Boltenstern and Cooksongold have made what they say is the first fully 3D printed fine jewellery collection made using an EOS printer. Composites UK plans to launch a new sub group focusing on sustainability. Element Six, which makes synthetic diamonds, has launched CTB004 polycrystalline diamond (PCD) for cutting in the automotive industry. A specialist in crucible and foundry solutions has developed new extra-large crucibles using one of the world's largest cold isostatic presses (CIP). Altair has acquired Componeering Inc, a Finland-based company which specializes in structural analysis and design of composite structures. Lawrence Livermore National Laboratory in the US has a vacancy for a postdoctoral research staff member in additive manufacturing (AM) simulation. Burgmann Packings Composites, based in Ireland, has launched a new robot handling system for over-braiding a range of mandrels and cores. Dave Hummel has retired as CEO of polyaryletherketone (PAEK) composite manufacturer Victrex after 24 years as CEO. Hexcel has developed HexPly M77HF epoxy prepreg which could reduce cure cycles by up to 90% compared to standard epoxy prepregs. US Army researchers have developed aluminum powder which reportedly produces high amounts of energy when it comes in contact with water. Solvay reports that it will begin producing polyetherketoneketone (PEKK) polymers in the US early in 2018. 3A Composites company AirexBaltekBanova says that it has improved the stiffness and strength of its AIREX T92.60 core material by 6% to 17%. Insect eyes inspire solar converters. 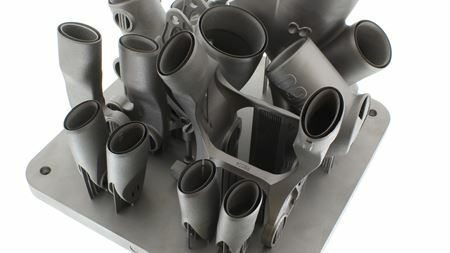 Fisher Unitech, a provider of metal 3D printers, will market and distribute Stratasys’ additive manufacturing (AM) products. A new conference plans to create opportunities for the aerospace industry to connect with additive manufacturing (AM) specialists. Powder production technology developed at Ames Laboratory in the US has won a technology transfer award. Masterbond has developed a one component epoxy that can also be used for bonding and sealing. Diab Americas says that it has invested in additional stabilization chambers to support growing requirements for its HP foam cores. New journal from Elsevier and Cell Press. Duralar Technologies, which makes ultra-hard metal coatings has named Coating Technologies (CTI) as the company's authorized provider of Duralar coatings. LPW Technology Ltd has named M G Sales Corporation of Gujarat, India, as its new distributor in India. The US DOE has selected technology center Western Research Institute (WRI) to develop low cost carbon fiber components. Composites and textiles provider Chomarat has developed FX, its new range of adhesive reinforcements. DP Technology has launched ESPRIT Additive Suite software which it says can simplify the additive manufacturing (AM) process. A number of companies have taken part in a joint development project to 3D print the front-end structure of a VW Caddy automobile. Registration is now open for the MAPP first international conference, taking place in Sheffield, UK from 30-31 January 2018. The ThermoPlastic Composites Research Center (TPRC), a not-for-profit organization based in the Netherlands, now includes polymer specialist Victrex. PyroGenesis Additive, a division of PyroGenesis Canada, has developed a new plasma-based process to produce metal powders. Spirit AeroSystems says that it has made use of resin transfer molding (RTM) technology to introduce new work at the company's UK facility. Hexagon Composites' subsidiary Hexagon Ragasco has received a new major order for LPG cylinders. Hyperloop One says that its composite pod has successfully completed its second phase of testing.